The Inner House of the Court of Session upheld a decision of the Lord Ordinary to dismiss the former MSP’s petition for judicial review, after the Scottish Criminal Cases Review Commission (SCCRC) rejected his application. The Lord President, Lord Carloway, sitting with Lord Menzies and Lord Drummond Young, said this was the “latest episode in the saga of cases” involving the petitioner, Mr Sheridan, which stemmed from articles published in the News of the World in November 2004 and January 2005. The court was told that Mr Sheridan, 55, was imprisoned for three years in 2011 after being found guilty of lying in evidence before a civil jury in 2006 in a case that saw him win £200,000 in damages in a defamation against News Group Newspapers (NGN), the publishers of the now defunct newspaper, over allegations he committed adultery and visited a swingers’ club. After the former leader of the Scottish Socialist Party (SSP) was refused leave to appeal against his conviction he attempted to have his case referred by the respondents, the SCCRC, on the basis that he suffered a “miscarriage of justice”. 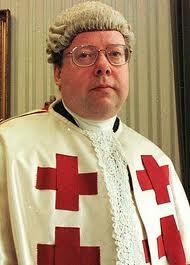 But the commission refused his application, prompting the petitioner to seek judicial review at the Court of Session. He argued that it was “unreasonable and irrational for the respondents to find that a conviction secured against a prima facia background of perjury, attempts to pervert the course of justice and a criminal conspiracy against the petitioner did not amount to a miscarriage of justice”. But Lady Carmichael dismissed the petition. Mr Sheridan then challenged her decision, arguing that “no reasonable decision-making body, correctly applying the law, could have reached the decision not to refer his case”, and that Lord Ordinary “erred” in holding otherwise. However, the appeal judges refused the appeal. Delivering the opinion of the court, the Lord President said: “There is a fundamental flaw in the application for a judicial review. This is the idea, repeated by the petitioner throughout the process, that the existence of a conspiracy by NGN, or members of the SSP, to ‘get’ or ‘target’ the petitioner amounts to a defence to the charge of perjury. “On the first ground of appeal, neither an application to the respondents for a reference nor an appeal to the High Court constitutes an invitation to either institution to conduct a general inquiry into the circumstances of a conviction. Just as the Court can be expected to narrow the scope of an appeal to the grounds lodged, so too can the respondents be expected to focus their investigations on what the applicant is saying ought to be the basis of a prospective appeal. “The petitioner’s complaint is that the respondents did not pursue the matter further by recovering more material to prove NGN’s motives and practices… As already noted, an applicant to the SCCRC will normally require to set out, in relatively clear terms, his potential grounds of appeal and their evidential foundation. The SCCRC would be duty bound to consider these… The extent to which they do carry out their own inquiries or seek to recover documents are matters within their discretion. They can hardly be faulted for not recovering items which they were not asked to obtain. “Secondly, in relation to information which they are asked to uncover, they are entitled to consider whether that information is material to the issue of a miscarriage of justice. The second ground of appeal was an allegation, which was rejected by the SCCRC, that the Crown and the police had failed to investigate, obtain and disclose evidence of the petitioner’s phone being hacked and to disclose an unredacted version of the notebook of Glenn Mulcaire, the private investigator engaged by the News of the World who was convicted of phone-hacking. Lord Carloway said: “It may be possible to envisage a situation in which a failure by the police to follow up an obvious line of inquiry has resulted in an unfair trial. In this case, the police would have had no reason, in the context of the prosecution of the petitioner, to investigate whether the petitioner’s phone had been hacked. That was not relevant to the issues in the case. “There was no duty to investigate this and consequently there was no duty to provide the Crown with the results of that investigation under section 117 of the Criminal Justice and Licensing (Scotland) Act 2010. Since the Crown did not have this information, there was no duty of disclosure on them under section 121 of the 2010 Act. The court also considered that there was “no merit” in the third ground of appeal, which was to the effect that the respondents had “closed their minds” to the relevance and importance of the material to be recovered, and observed that the fourth ground of appeal amounted to “little more than a disagreement with the respondents’ decision on the merits”.